A swimming pool in Italy was transformed into an underwater dance club on Saturday. 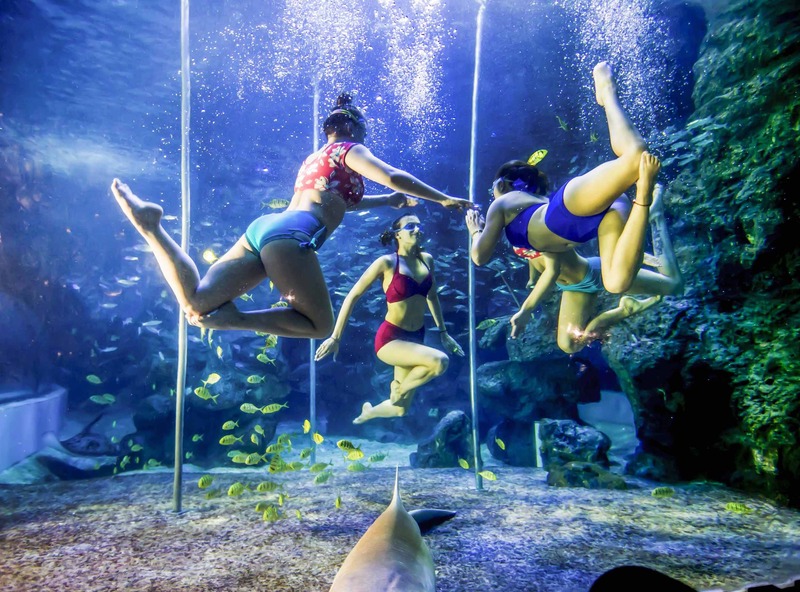 Hundreds of music fans descended 137 feet underwater in the world’s deepest swimming pool for the one-of-a-kind experience. A DJ performed lived from an underwater viewing tunnel, playing beats through a sub-aqua sound system. Party-goers wore diving helmets and turned the pool into a dance flood. Organizations say it was the first event of its kind. Party-goers were in awe. "I was a bit scared, I was like can I breathe there? You know, do I have to bring anything? But it was amazing,” said DJ Peggy Gou. The swimming pool is located at a diving center in Padua.